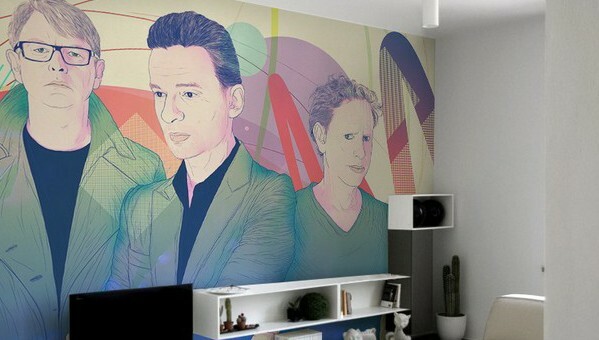 Check out this wonderful collection of wall murals called Musicology. It features eight graphics inspired by the style of artists, whose work influences pop culture and remains a stimulus for singers of diverse music genres. The collection includes artworks depicting the most crazy artistic creations, beginning with archetypical Depeche Mode, through crazy P!nk, alternative Skin, rebellious Jay-Z, energetic M.I.A., pop Rihanna, ending with electrifying Daft Punk duo and cult Jamiroquai.